James Moar reads far too many comic books. It’s a gag that admits the obscure source of Marvel’s latest movie adaptation, based on a (rather good) recent comic of the same name that pulls together a lot of Marvel’s space-based superheroes, with an obvious fondness for the minor ones. As most of Marvel’s well-known characters have already featured in a blockbuster, (Doctor Strange is probably the biggest name that hasn’t), they now have to call upon their less famous characters, starting with the Guardians of the Galaxy, Ant-Man and Big Hero 6. Why are there so few well-known superheroes? And why has it been decades since any new ones became popular? 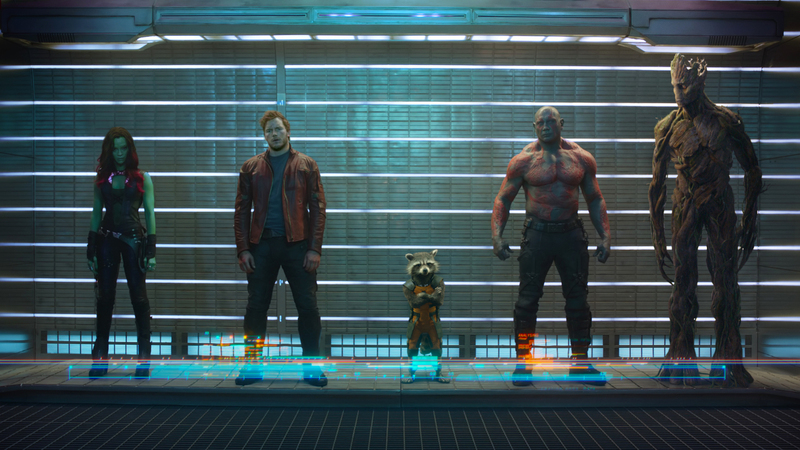 Even in the case of Guardians of the Galaxy, none of the film’s protagonists were introduced after 1976, and the title was first used in the late 1960s. To answer those questions, it’s probably best to go back to the origins of the best-known characters, way back in the early twentieth century. For starters, it seems that individual superheroes establish themselves best during booms for the genre. Superman, introduced by DC Comics in 1938, was the first big hit of the very young American comic book industry, and was rapidly followed by imitations, including DC’s own Batman and Wonder Woman, Captain America from Timely (the ancestor of Marvel Comics), and dozens more from other publishers. By the end of the forties the popularity of superheroes faded, with most series being cancelled as other comic genres grew in popularity. Remaining in continuous publication is what seems to have saved some characters from obscurity. Green Arrow and Aquaman continued as backup strips in Superboy’s book even as many other DC superheroes of the era were cancelled, which is why today one of them has a hit show on the CW, and the other is the go-to example of a rubbish superhero you might have heard of. Fawcett Comics’ Captain Marvel is a striking example of the reverse effect. The character outsold Superman in the 1940s, but ceased publication in 1953, owing to the declining popularity of superheroes and a long-running lawsuit from DC claiming infringement of their copyright on Superman. Captain Marvel was revived a couple of decades later, just in time to miss the second boom in superhero comics, but never regained the same status. The second boom started in the late 1950s, after a public backlash against horror and crime comics; perhaps because the superhero genre could deliver similar thrills in a more morally-disinfected package. DC had never stopped publishing Superman, Batman and Wonder Woman, but began creating new superhero series, starting with The Flash. 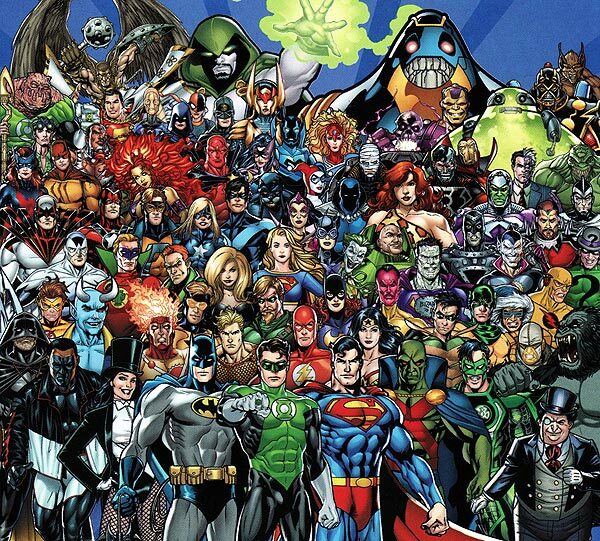 New characters included Green Lantern, Supergirl, Hawkman, the Atom, and the team-up book Justice League of America, though it’s notable that even at this point several of these were revamped versions of DC series from the 1940s. In 1961 Marvel, at that time a small company publishing mostly monster and romance comics, got back into superheroes with the Fantastic Four. Within a few years they created not only Spider-Man and the Hulk, perhaps the last two characters to have been absorbed into pop culture as thoroughly as Superman and Batman, but also Iron Man, Doctor Strange, Marvel’s version of Thor, Daredevil, the X-Men, and the Avengers. Marvel’s combination of earnest melodrama, confiding, hucksterish humour and heroes with personalities that could actually be told apart read very differently to the compressed, gimmick-based stories of contemporary DC. This voice, which drove the success of the comics, was largely provided by Stan Lee, with Jack Kirby and Steve Ditko as the most frequent artists and co-creators. But why did the creation of popular characters go into a decline in the late 1960s? For one thing, at Marvel, the new generation of writers who took over as Lee withdrew from the books in the late 1960s and early 1970s had started off as comic fans, unlike the rather more miscellaneous individuals who’d drifted into the business before then. The same generation of creators soon spread to DC, and from now on most creators would emerge from comic fandom. Under these new writers there was an increased interest in buttressing the existing characters and their settings, which perhaps drew off some of the energy that would have gone into new creations (and in later waves of fans-turned-creators, a tendency toward working with the characters they’d grown up with at the expense of later ones). New characters would still be created, but they tended to only last for shorter runs, followed by intermittent revivals, rather than being in constant publication. I should acknowledge some partial exceptions. Ghost Rider and the Punisher are mid-1970s creations; as are many of the most recognisable X-Men, including Wolverine. The X-Men books, popular and ensemble-driven, have long been a better place than most to establish new characters. By the 80s and 90s, there was an increased interest in the rights of individual creators to control their works, where previously major publishers had regarded them solely as pens-for-hire. Creators became aware that even a modest success with a creator-owned title could be more creatively and financially rewarding than signing over pet ideas to a large publisher. The shape of the comics market also has to be taken into account. Sales have undergone an overall decline spanning several decades, which has eroded much of any ability comics had to push a character into the general consciousness without support from adaptations in other media. The move from newsstands to specialist shops in the 70s and 80s helped to protect the market, but left it more insular. There’s also an unfortunate tendency for publishers to respond to sales success with market saturation, with the 90s speculator-fuelled boom and bust being the worst example by some way. The aftermath of the rapid rise and fall of publishers and titles created a readership that’s still rather conservative about picking up new series, rather expecting them to fail to catch on, which is of course a self-fulfilling prophecy. It also doesn’t help that comics are fairly expensive things, after all. In such a market, the best way to establish a character is to try and convince readers that they ‘matter’, by tying them to big crossover events, or to already-popular characters. 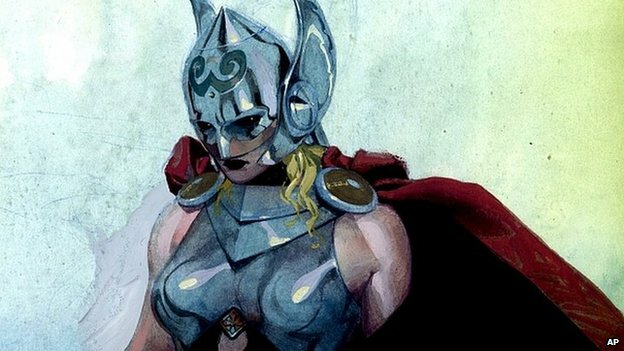 Marvel’s recent promotion of a female Thor, for instance, has drawn far more attention than entirely new characters do. In the end, perhaps there’s only so much conceptual space in the genre, and the major existing characters have a lot of that territory already staked out. Batman, the urban vigilante superhero, for instance; Captain America, the patriot-superhero; or even the Flash, the hero with superspeed. New characters can come off as an imitation, a variation or a commentary on existing ones. And the most successful current characters appear several times a month, with no particular reason other than sales for that to ever stop. So, there ever be any popular new superheroes? The rise of digital comics may change the shape of the market in unpredictable ways. Film, cartoon and live-action TV adaptations may help push new characters to prominence, and may gather new fans with new ideas. Or, if none of that pans out, I’m sure they could always reboot all the existing film series another dozen times. James Moar tweets under the imaginative handle of @jamesmoar. He’d like to make clear that that’s his real surname and not some LOLcat thing.